Hubei Xingfa Chemicals Group Co., Ltd. (hereinafter referred to as “XINGFA”) is a public company whose main businesses are developing, producing and marketing a series of phosphoric products and fine chemicals. Established in 1994, XINGFA is located in Xingshan County, Hubei Province, where is known as the birthplace of the famous Han Ming Princess Wang Zhaojun-one of the four ancient beauties in China. XINGFA went public on the Shanghai Stock Exchange (SSE) in 1999, under Stock Code: 600141. The total assets of XINGFA reached up to 20.2 billion RMB, owing 38 whole owned and holding subsidiaries, with stuff of 8,593. Now it ranks 390th among the Top 500 Enterprises of China. Through 20 years of development, XINGFA is now regarded as one of the largest manufacturers of fine phosphoric products in China. 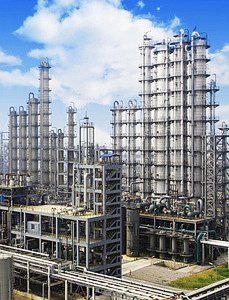 XINGFA has focused on the development of fine phosphoric products and has built vast high-tech products chains and possesses the manufacturing capacity to produce more than 12 series (which includes more than 184 categories) of phosphorus products in Electronic, Medical, Food (addictive), Industrial and Fertilizer grades respectively, made itself one of the enterprises covering a complete range of fine phosphoric products.XINGFA is deepening the reintegration processes between phosphorus resources and manufacturing capacity. It is the first company to establish “Mining-Hydroelectric-Chemicals” operation mode in China, which leads to 100% rate of mining resources self-sufficiency and more than 50% rate of that in electrical supply.By adhering to this “Stepping-out” strategy, XINGFA has completed the inter-regional expansion and reorganization processes. All over China, different scaled production bases has been established successively in Xingshan, Yichang, Yidu, Yuan’an , Shennongjia, Baokang, Xiangyang, Henan Province, Guizhou Province, Jiangsu Province and Xinjiang Autonomous Region. Based on those, XINGFA has occupied a domestic dominant position in the filed.On the other hand, with the scientific-technical progress, the implementation of XINGFA’s Diversification Strategy is centered on Fine Chemicals as its core target. The self-sufficiency rate of resource and power has been increased. The constantly integration of different chemicals including phosphate, silicon, sulfur and salt chemicals has made the foundation of XINGFA’s strength of products chains. 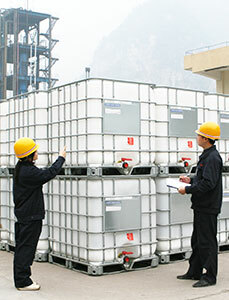 By adhering to the strategic orientation, XINGFA is always making the Fine Chemical Industry as its Main Business. In order to achieve products differentiation competition in the market, more emphasis has been paid to science and technology innovation. XINGFA’s R & D departments have successively conducted 10 National Key Projects, 5 Hubei Provincial Significant Technological Special Projects, and more than 10 Hubei Provincial Technological Development Projects; Over 300 new techniques has been applied in the production and over 200 new products and techniques have been developed independently. XINGFA owns 237 Core-patents, 10 Provincial/Ministerial-level Awards for Scientific and Technological Advancement, 7 Municipal-level Awards for Scientific and Technological Advancement, as well as 53 Hubei Provincial Scientific and Technological Achievements; XINGFA has continuously participated in setting 42 different Nation or Industry standards; more than 300 scientific and technical papers from XINGFA have been published. XINGFA has gained many titles as follows: High and New Technology Enterprise; Technology Innovation Demonstration Enterprise; National Certified Enterprise Technology Center; National CNAS Certified Laboratory; National Postdoctoral Research Station; Hubei Phosphorous Chemical Industry Technology Research Institute; Hubei Fine Phosphorous Chemical Engineering Technology Research Center; Hubei Green Herbicide Engineering Technology Research Center; New Material Engineering Research Center of Organic Silicon; National Chemical Industry Technology Innovation Demonstration Enterprise etc. By adhering to this “Stepping-out” strategy which is guided by the principle of “international market first, domestic market follows”, XINGFA has obtained European REACH Authentication enabling the creation of strategic cooperative partnerships with many Global Fortune 500 firms, such as Procter & Gamble, Dow and Unilever. XINGFA has established a large number of subsidiary companies and branches in America, Germany, Brazil, Vietnam, and Hong Kong, Guangzhou, Shanghai, Wuhan in China . This has allowed access to a unique and diversified global marketing network encompassing more than 110 countries and regions throughout Asia, Europe, the Americas, and Africa. Meanwhile, XINGFA is implementing famous brand strategy vigorously. The trademark “XINGFA” has identified as China well known trademarks, “XINGFA STPP” has passed "China Top Brands", the products of sodium hexametaphosphate, sodium dimethyl and sulfoxide under “XINGFA” trademark were all honored as the “Hubei Famous Brands”. The related products under “XINGFA” trademark gained the “Famous Export Products”. XINGFA has got the title of Brand of the Year on Quality-oriented and Credibility-based Enterprise, High Quality Prestige Enterprise etc. Integrity has always been the XINGFA’s guiding principle on management innovations. XINGFA has developed its own Organization of Control Systems. Based on the risk prevention and control, Business Process Reengineering becomes the foundation of the system. Till now, XINGFA has established a general management system which meets the common requirements on Quality, Environment, Occupational Health and Food Security.XINGFA has passed the “4 in 1” management system certification, got the title of Hubei Management Model Enterprise, Jinniu Top 100 listed companies and been listed into the SSE 380 index companies. In the “13th Five-Year Plan” period, XINGFA will focus on the enhancing of development quality and management efficiency continuously. The concept of Green Fine Chemical shall be introduced as the developing direction. Moreover, standard enterprise management, security risk control, innovation-driven growth have become the next goals of XINGFA. In the future, XINGFA aspires to become the leading enterprise on fine phosphorous chemical production, eco-environment protection, efficient cultivation, industrial technology innovation and Social responsibility caring.